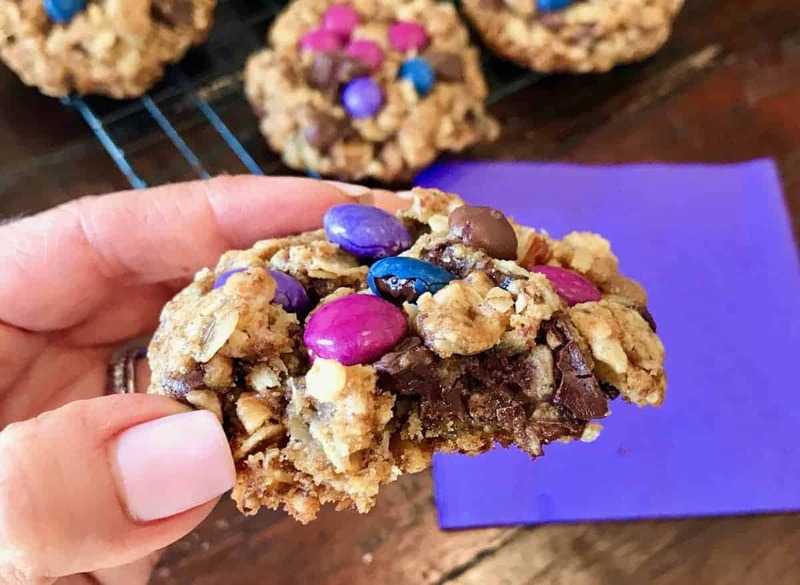 When it’s all said and done, these monster cookies are 100% vegan and gluten-free, all while maintaining a chewy-crunchy texture with the right amount of sweet, chocolate and salt. 1. Start by doing a little prep: Pre-heat your oven to 350º and line two baking sheets with parchment paper. No parchment? No problem! 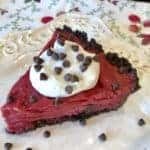 If you’re baking sheets are nonstick then you’re good to go. If not, lightly grease your sheets. Then, set them aside for now. 2. Next, in a small bowl, stir together the ground flaxseed and the water. Set this aside, too. 3. 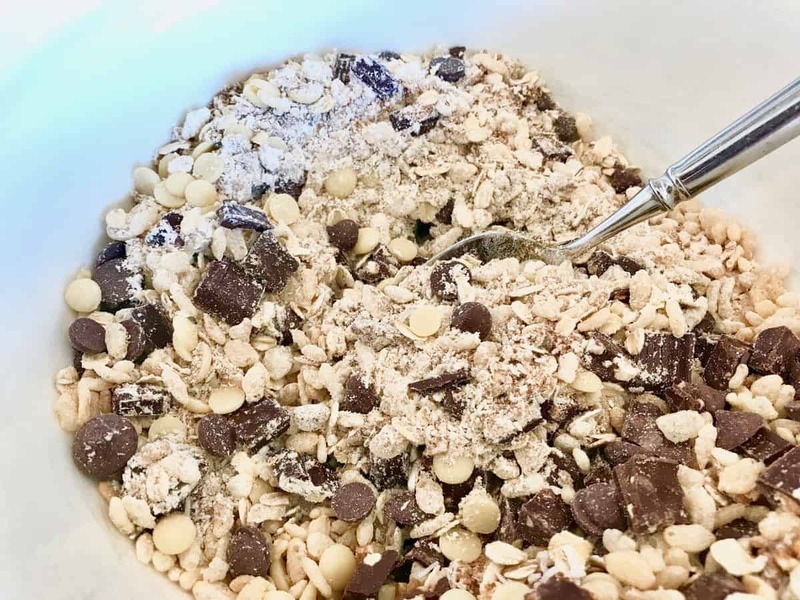 In a medium-sized mixing bowl, add all of the DRY ingredients. Give those ingredients a good stir. 4. Next, add the WET ingredients to the mixing bowl, including the flaxseed/water mixture. Stir until all flour is incorporated. 5. Now, normally I try to avoid calling for special kitchen tools in my recipes, but this one really does help tremendously: a retractable ice cream scoop! 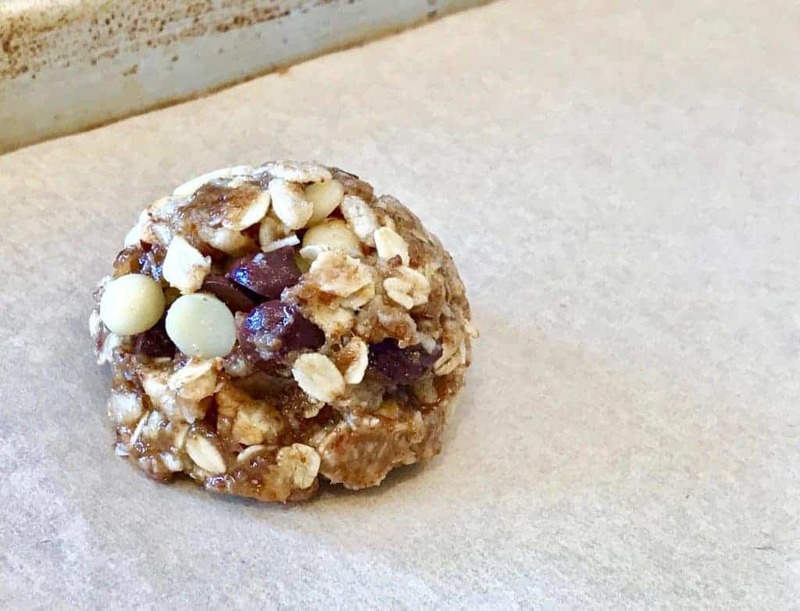 You know, the type that sometimes has the trigger on the side to help remove the ice cream, or in this case – cookie dough – from inside the scoop. They can be found in most grocery stores, at Target or Bed, Bath and Beyond, or you can order the one I really like, the Solula #14, HERE. 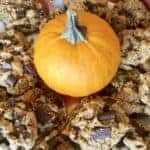 Since these cookies are SO loaded with yummy, sticky ingredients, I’ve found that an ice cream scoop is the easiest way to get the dough from bowl to the baking sheet in nearly perfect dough ball form with minimal mess, fuss or time spent. So this is what you do: scoop up the dough, then pack it tightly into the scoop by pressing with the palm of your hand. Lastly, place that scoop face-down on your baking sheet and squeeze the retractable handle or trigger slowly to release the dough ball. 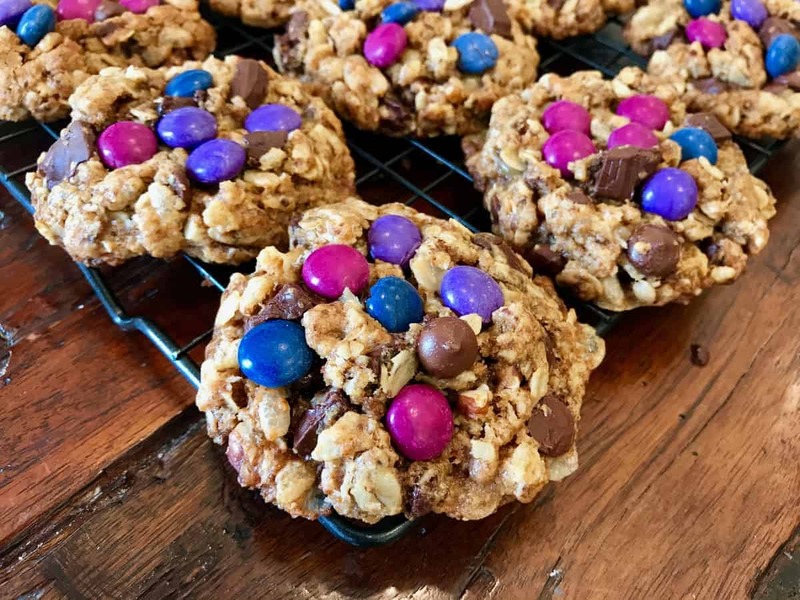 FYI – If you do not own a retractable ice cream scoop and want to make these cookies immediately without shopping for one (I don’t blame you! 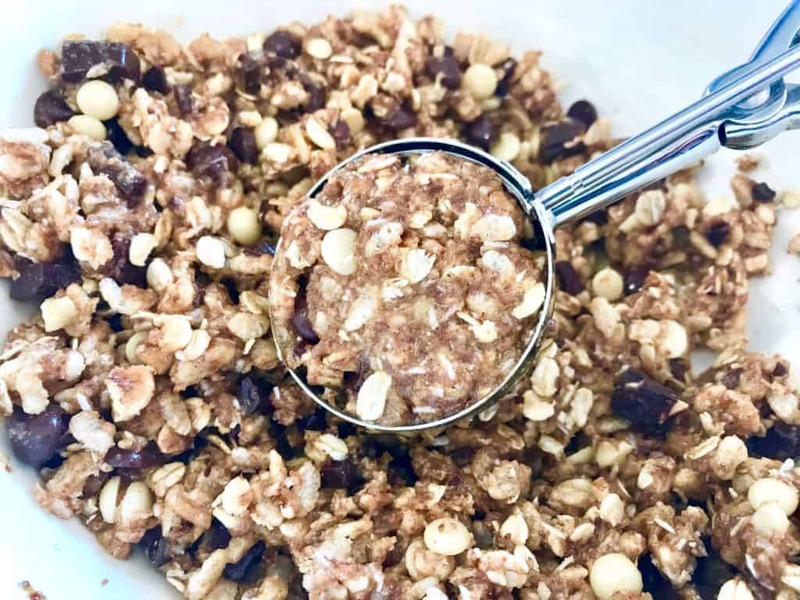 ), you can always use a 1/4 measuring cup to scoop up the dough, then pack it into the measuring cup with your hand as described above, and then use a separate spoon to help release the dough from the cup. From there, form dough balls with your hands. After ten dough balls are formed. 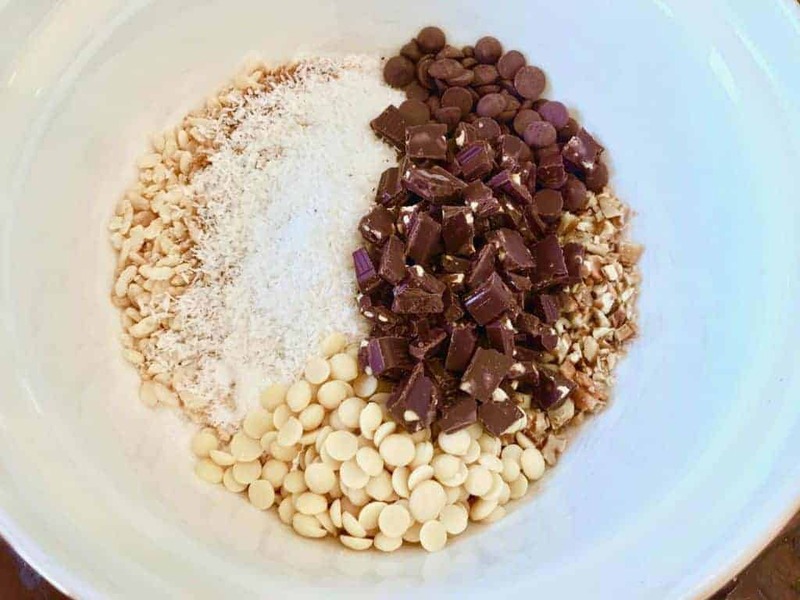 take any remaining chocolate chips or dough sitting in the bottom of the bowl and carefully add it to the tops of the balls. 6. 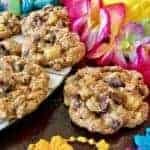 Bake these beauties in your pre-heated oven for 13-14 minutes or until the edges of the cookies turn a light, golden brown color. 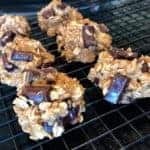 You’ll want to let them rest on the cookie sheet for about 3-5 minutes before transferring them to a cooling rack. 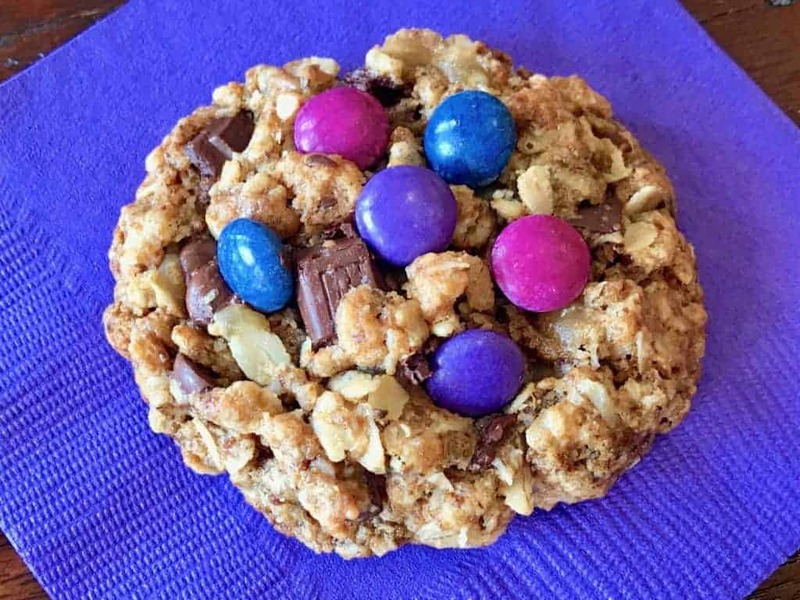 While you wait, add your candy coated chocolate candies to the tops of each cookie. 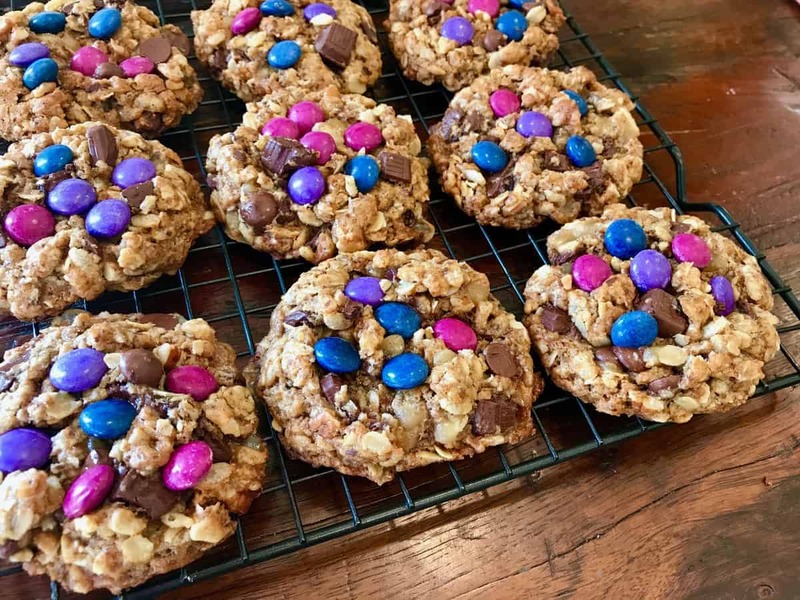 I typically add 5 – 6 candies per cookie. 7. 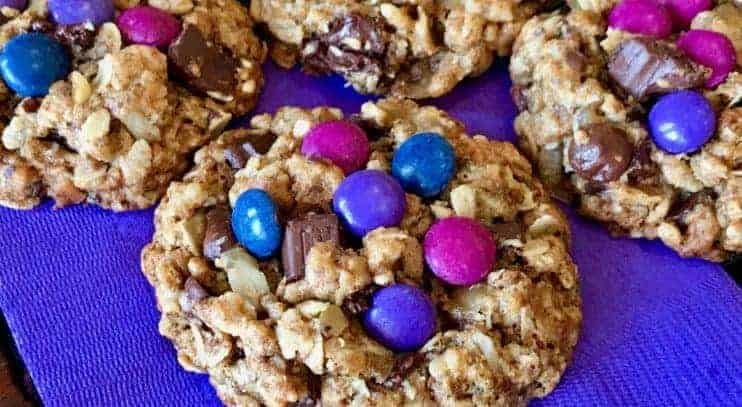 After those 3-5 minutes have passed, transfer those gorgeous monster cookies to a cooling rack and prepare your taste buds for a special treat unlike anything you’ve had before. 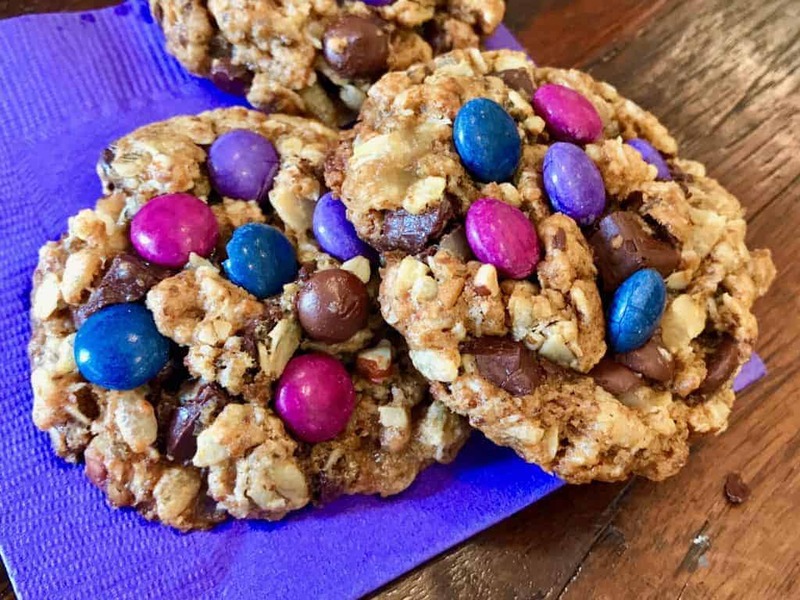 If you decide to make these cookies, please let me know what you think in the comments below! I’d love to know. *You can probably leave the nuts out altogether if you so desire, but I’ve never tried it! 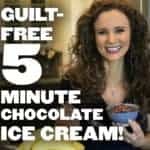 If you do, perhaps sub it out for 3 extra tablespoons of crispy rice cereal, just to make up the volume. **You can absolutely use just plain ol’ dark chocolate instead of dark chocolate with almonds, if you like! Either way. be sure you hold off from getting a chocolate bar with sea salt added (it’s usually clearly stated on the front of the wrapper, if it is.) 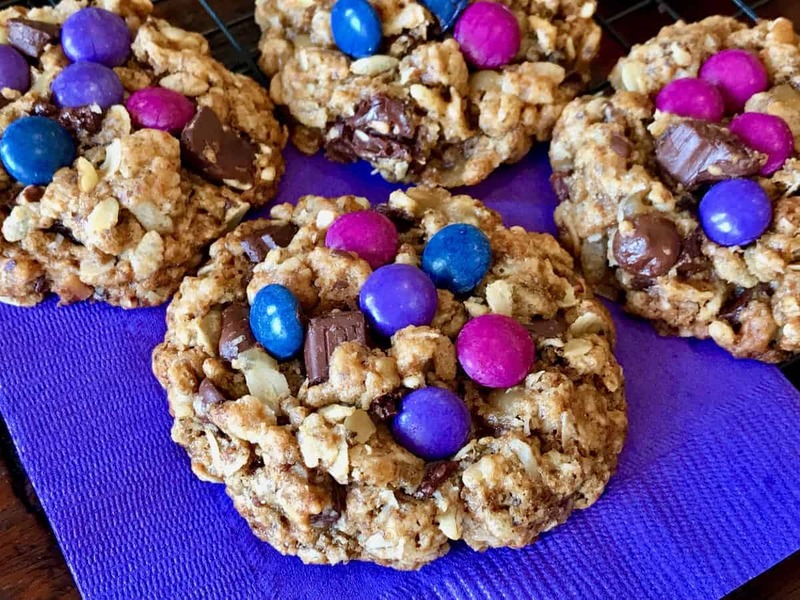 Otherwise you can throw off the salt to sweet ratio in the cookies. 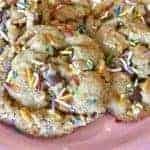 Watch this video to see how I make these cookies!